How do you talk to the doctor when you don’t know the words? Every day thousands of Chicagoans visit a doctor – but can’t explain what’s wrong. It’s not because they don’t know their symptoms, they just don’t speak the same language. Radhika Sharma Gordon deals with this constantly as coordinator for a health organization in one of the most diverse areas in the country, Chicago’s Albany Park neighborhood. 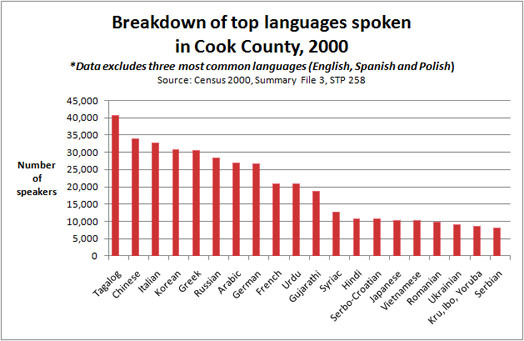 With dozens of languages spoken in Chicago, health care organizations can find it challenging to meet all of their patients’ needs. 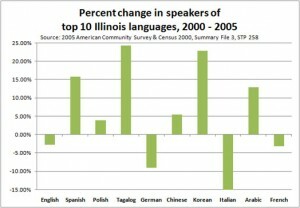 Small, community-based organizations like Healthy Albany Park struggle to find funding for translation services and often have to rely on the language skills of their staff. Organizations that are larger and better-funded have more options. Cook County’s Community and Economic Development Association has a Women, Infants and Children Program office in Albany Park. WIC is a nonprofit, national organization funded by the United States Department of Agriculture that focuses on nutrition counseling and services for moms and kids. With federal funding and national support, the WIC offices find it easier to fulfill their clients’ translation and interpretation needs. 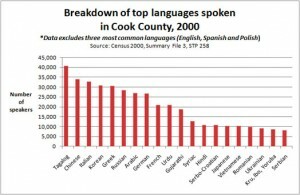 With so many different languages spoken in Chicago, it’s impossible to represent every language with an on-site interpreter. Using outside agencies to assist with translation and interpretation is a necessity. Video or phone interpreter services are commonly used by hospitals to communicate with non-English speaking patients. 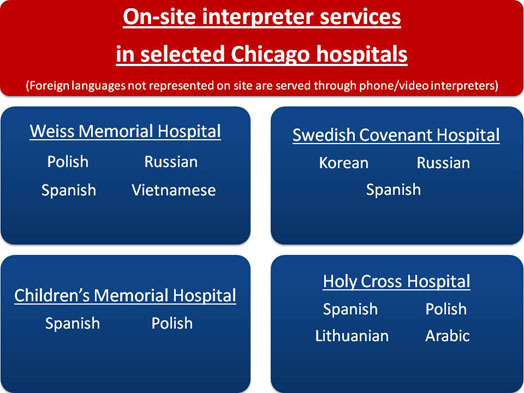 “We have access to 170 languages through a combination of staff interpreters, agency interpreters, phone interpreters and video interpreters,” said Omar Torres-Knight, manager of interpreting services at Chicago’s Children’s Memorial Hospital. However, speaking to an interpreter over a phone or video connection can have its limitations. 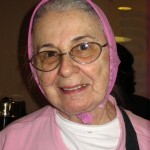 Swedish Covenant Hospital serves many patients from the diverse Albany Park area. When a patient can’t speak English, one of the interpreters is summoned by pager or cell phone. Sometimes their services aren’t even necessary, one of the advantages of working in a diverse community. 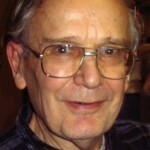 Events on the other side of the world can affect translation needs in Chicago. For example, unrest in the Middle East is driving a need for Arabic language services. “The reality is that anything that’s going on in the world, we pick up in Cook County,” said Magali Rodriguez, the director of interpreter services at the Circuit Court of Cook County. The number of Arabic speakers in Illinois increased 12.9 percent between 2000 and 2005, according to data from the U.S. Census Bureau. Between 1990 and 2000, the nation’s Arab population increased by nearly 40 percent. When immigration organizations foresee a change in the incoming population, news travels to health organizations, so they can prepare to meet the changing needs. 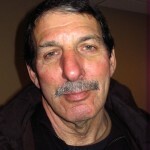 “In 2008, our local refugee settlement program, World Relief, received word to expect more Iraqi refugees,” Gordon said. A 2002 Institute of Medicine study revealed that “racial and ethnic minorities tend to receive a lower quality of healthcare than non-minorities.” A major factor in this disparity is the patient’s ability to communicate with their doctor. And the difficulty doesn’t end with the doctor-patient relationship. Hospitals and clinics might have to provide translation for consent forms, educational materials and medication information, according to “One Size Does Not Fit All,” a study by The Joint Commission, an organization that helps facilitate health care communication between providers and patients. 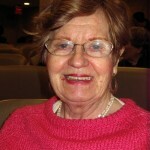 The often immediate nature of health issues can make the need critical. While court dates are usually scheduled ahead of time, health care, by nature, is often unexpected. However, health organizations like Albany Park find themselves doing the best they can with what they have in order to serve their clients. “If we can get English, Spanish and Arabic [translation], then we can cover most of the parents [in the area],” said Gordon. 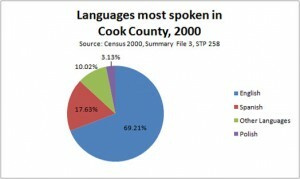 In 2006, interpreters were used 120, 412 times in Circuit Court of Cook County proceedings. “Interpreters are requested by the court or a court order,” said Magali Rodriguez, director of interpreter services in the Circuit Court of Cook County. Spanish, Polish and sign language interpreters are the most frequently requested, but the court is prepared to provide for everyone. However, in a diverse city like Chicago, Rodriguez finds that more help is needed. 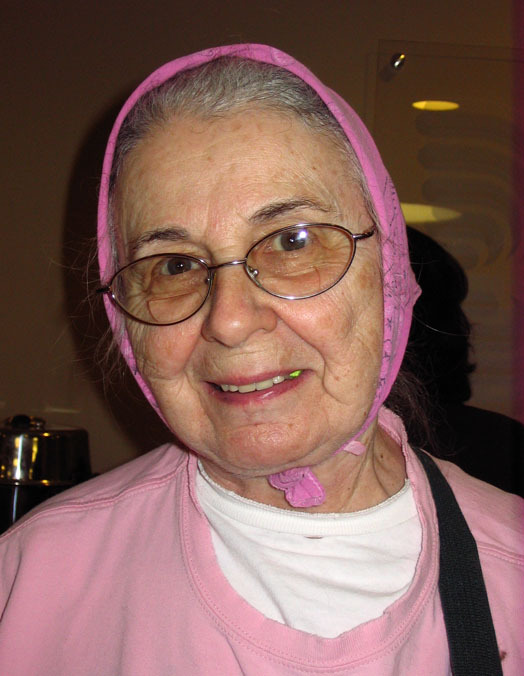 Time is the major difference between interpreter services in health care and the courts. However, the two systems aren’t completely unrelated. 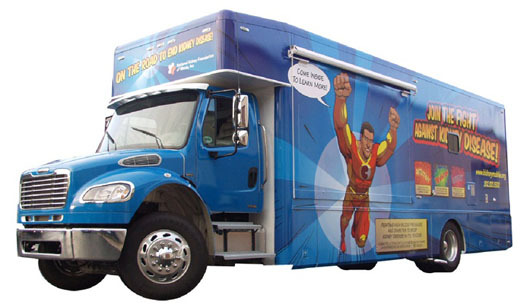 Not to be confused with the Oscar Mayer Wienermobile, the Kidneymobile is a mobile health care unit that offers free health screenings and education in the hopes of preventing chronic kidney disease. The van paid a visit to Chicago Tuesday in preparation for Thursday’s World Kidney Day. Kidney disease is the ninth leading cause of death in the nation, according to the Centers for Disease Control and Prevention. Mobile health care units that provide screenings for vision or blood pressure may be more common, but the Kidneymobile offers a comprehensive approach to preventing kidney disease. Instead of a single screening or immunization injection, patients receive a battery of basic tests that offer a broader view of their health, all for free. At least 26 million adults have chronic kidney disease, according to the National Kidney Foundation. Since early stages of the disease have no symptoms, many more are at risk. When a patient receives an abnormal test result at the screening, they are able to review the result with the on-site nurse practitioner the same day. Kidneymobile volunteers follow up later to make sure the patient is receiving care. Patients who don’t have insurance or a regular doctor receive referrals to places where they can get care. Unfortunately, most patients that visit the Kidneymobile find themselves in need of further care. The National Kidney Foundation of Illinois, which introduced the Kidneymobile in 2005, partners with community organizations to spread news of their visits. Thousands of people throughout Illinois have taken advantage of the Kidneymobile’s services. While anyone is welcome at the free screenings, the National Kidney Foundation tries to reach those who are most in need. For those who don’t have health insurance or can’t afford to visit a doctor, the Kidneymobile offers a chance to stay on top of their health. Chicago resident Juan Ramirez, 42, attended a Kidneymobile screening Tuesday to check up on his blood pressure and blood sugar levels. The Kidneymobile isn’t the only mobile health care unit making the rounds in Chicago. The University of Chicago Comer Children’s Hospital has a Pediatric Mobile Medical Unit and the Mobile C.A.R.E. Foundation operates Asthma Vans throughout the city. Norwegian American Hospital’s Care-A-Van brings pediatric care to the children of Humboldt Park. A healthy cooking demonstration and free screenings for cholesterol, diabetes and blood pressure were features of the annual HeartFest event at Evanston’s St. Francis Hospital on Thursday. February is American Heart Month, and attendees were able to attend lectures, learn about healthy food and receive screenings. Participants and organizers speak about the reasons people need events such as this. Will malpractice awards climb in wake of court ruling? 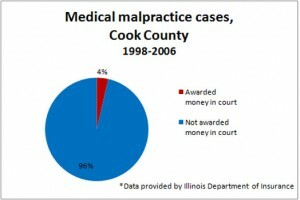 Although medical malpractice awards climbed in the years before Illinois put limits on them, opponents disagree on the impact of the recent Supreme Court’s ruling striking down the caps. 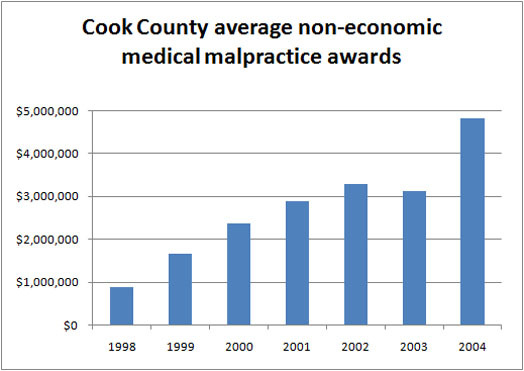 The average award for emotional harm in medical malpractice cases increased 437 percent in the seven years leading up to creation of the 2005 law capping non-economic damages, according to data from the Cook County Jury Verdict Reporter. 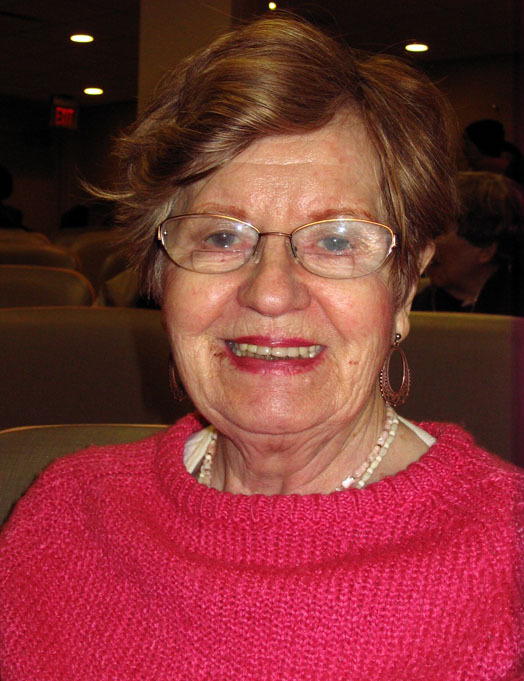 Rates were highest in 2004, the year before award caps were enacted, with an average award of $4.8 million. Physicians argue that high awards drive up insurance premiums and make health care more expensive. “When the cap was reinstated in 2005, premiums for Chicago physicians stabilized and even began to shrink,” said J. James Rohack, president of the American Medical Association in a statement after the court ruling. Before caps on damages, premiums rose steadily 10 to 12 percent a year between 1997 and 2005, Rohack said. The Medical Malpractice Act limited the amount victims could receive for emotional harm to $500,000 from doctors and $1 million from hospitals.The Illinois Supreme Court ruled the law unconstitutional earlier this month. 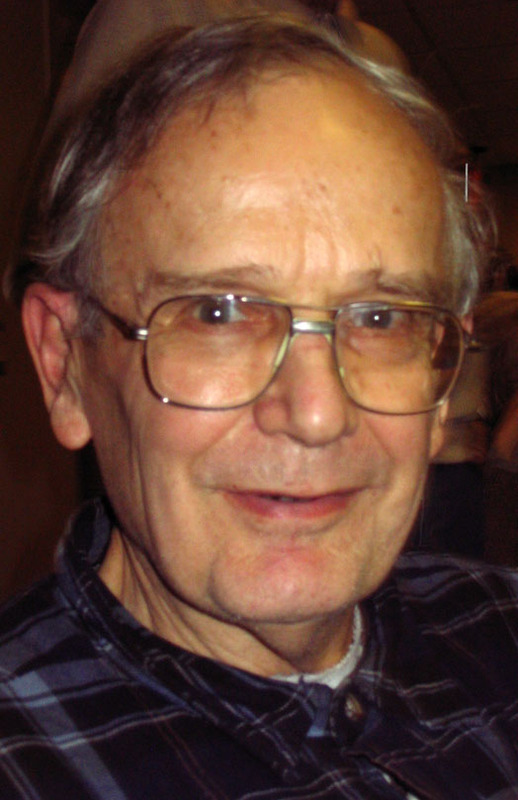 This was the third time the court ruled against medical malpractice award caps. Critics of award caps say the averages don’t tell the entire story. While the average award amount increased prior to 2005, state data show that only a small percentage of medical malpractice plaintiffs are awarded money. Only 4 percent of medical malpractice cases resulted in damage awards between 1998 and 2004, according to the Illinois Department of Insurance. Bruce Ottley, a professor at DePaul University’s College of Law, also said the ruling would have only minimal impact since few plaintiffs are ever awarded such large damages. However, cases that do not result in payout still have an impact, according to a 2005 study released by the Illinois State Medical Society and ISMIE Mutual Insurance Company. ISMIE is the largest liability insurance provider for Illinois physicians. The state took a step Tuesday to reduce lead poisoning, the No. 1 environmental illness in Illinois children, according to health officials. In response to new federal regulations, the state hosted the first of several statewide sessions to explain new certification procedures for contractors. The new Environmental Protection Agency rule on renovation and repair requires contractors working on any buildings built before 1978 or that are occupied by children to be certified in lead-safe practices. The rule goes into effect in April. More than 5,000 Illinois children had elevated blood lead levels in 2008, exceeding any other state, according to the Illinois Department of Public Health. 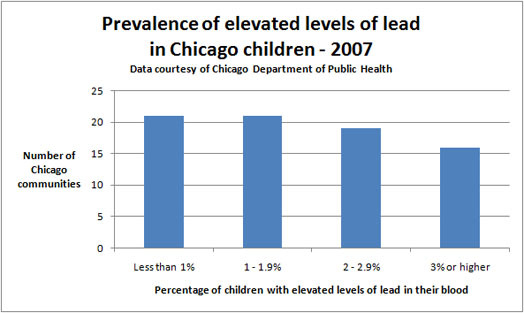 Children in Chicago are required to be tested for lead between the ages of six months and six years. “Lead poisoning can cause learning disabilities, language processing disorders, shortened attention span and behavioral problems,” according to a plan released by the public health department in 2004. At high levels, lead can cause organ damage and death. Lead poisoning is most commonly caused by deteriorating lead-based paint, lead-contaminated dust and lead-contaminated residential soil, according to the EPA. “Lead-abatement, for the most part, waits until a child gets sick first,” said Nicholas Peneff, owner of Public Health and Safety, Inc. in Chicago. “We’re trying to prevent that. We’re trying to treat the house first.” Peneff’s company is an EPA and state-accredited training center where contractors can earn certification in lead-safe practices. But contractors are not without their concerns. A new program to fight childhood obesity will soon be under way in Chicago. “I Am Moving, I Am Learning,” sponsored by Chicago’s Department of Family and Support Services, is expected to reach children in March. “The idea is to get children moving throughout the day,” said Paulette Mercurius, an assistant director of Head Start programs in Chicago’s Department of Family and Support Services. Head Start programs are offered nationwide to help children get a jump on their education. 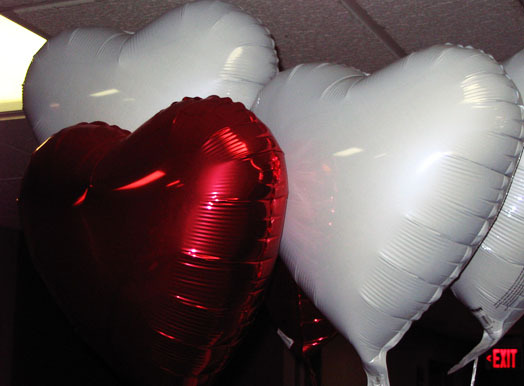 Teachers are also given CDs, along with dances designed for limited classroom space. In 2004, “I Am Moving, I Am Learning” started in 17 Head Start locations in Virginia and West Virginia. Its goals are to increase the quantity and quality of time children spend in moderate to vigorous activity and to improve healthy nutrition choices for kids. Sponsors of “I Am Moving, I Am Learning” say they hope the program will expand through their partnership with other community organizations, such as the Chicago Park District and the Consortium to Lower Obesity in Chicago Children. Illinois is the 10th-worst state for childhood obesity, according to a 2007 survey by the U.S. Department of Health and Human Services, with 34.9 percent of the state’s children overweight or obese. The National Survey of Children’s Health ranked the weight of children aged 10 to 17. The Illinois Supreme Court overturned a law capping non-economic awards for medical malpractice Thursday. While supporters applaud the decision as a victory for patients’ rights, advocates for the caps worry the ruling will increase insurance costs, affecting the quality of care. The Medical Malpractice Act of 2005 limited the amount medical malpractice victims could receive for emotional harm to $500,000 from doctors and $1 million from hospitals. Thursday’s ruling stemmed from LeBron v. Gottlieb Memorial Hospital, the first case to challenge the 2005 law. 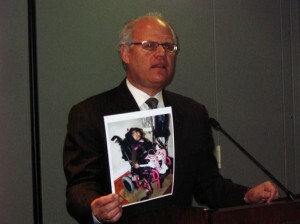 Abigaile LeBron was born with severe brain damage in 2005 and sued for medical malpractice. The case is still pending. The decision comes on a day the federal Centers for Medicare and Medicaid Services estimated that health care spending increased by $134 billion in the past year, the largest one-year jump recorded. ISMIE is the largest provider of liability insurance to physicians in Illinois. The American Medical Association agreed. “Today’s court decision threatens to undo all that Illinois patients and physicians have gained under the cap,” J. James Rohack, M.D., the president of AMA, said in a press release. “When the cap was reinstated in 2005, premiums for Chicago physicians stabilized and even began to shrink.” Before caps on damages, premiums rose steadily 10 to 12 percent a year between 1997 and 2005, Rohack said. 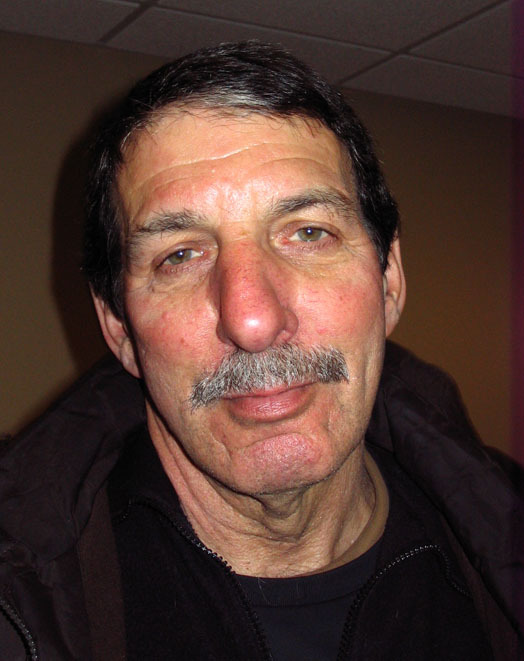 Jeff Goldberg, the attorney for Abigaile hopes that the decision will be a wake-up call. “We hope…that the legislature will wake up and the insurance industry will stop trying to limit the rights arbitrarily for people that are severely injured and are the victims of medical negligence,” Goldberg said. However, at least one attorney thought the ruling would have only minimal impact since few plaintiffs are ever awarded such large damages.